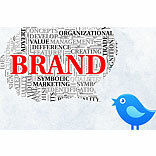 Brands are increasingly joining 'Twitterati tribe' and leveraging the platform. While Mirinda was among the first to join the bandwagon and effectively start something called a FlashMob, PVR has followed the trend too as they encash upon the potential of Twitterati as the new medium to reach out to its target group. For a better understanding, we connected with Yashraj Vakil, COO of Red Digital, who pioneered the Mirinda campaign and met with some enthralling success. Also, the team is working on the PVR campaign and plans to take up another retail brand in the month of July. Red Digital is a Mumbai based 360 degree digital ideation and services company. “We created the Mirinda flashmob on February 14 on Twitter and called it the ‘tweetmob’. We have had this understanding of Twitter encouraging spontaneous, rebellious talk as a result of the opinion formulation on what goes up there. We asked exactly at mid night about the most precious moment of the day and the response was phenomenal and in 18 hours of time, we had about 7 lakh Mirinda branded tweets. We did about three tweetmobs during February and March,” opines Vakil. The time period involved depends from brand to brand. Like, in the case of Mirinda, the activity started three days prior on FB and then took the world by storm on Twitter. However, in the case of PVR, there is already a famous Bollywood connect to it. There will be two tweetmobs done in the month of May and June. Vakil shares that while the first one takes more effort to be done, the second one becomes much easier to approach. So, how does the Mirinda Campaign work? The Tweetmob started by a simple question asking people what they thought was crazy enough around them to be called #PagalPanti. Red Digital helped connect Twitterati and Facebook users who tweeted about the topic with various Mirinda branded hash tags creating a plethora of endorsements for the brand. They didn’t have to wait long before #PagalPanti started trending in India. The activity saw 3,700 tweets in the span of 9 hours for @MirindaIndia. Every 50 tweets with #PagalPanti helped the brand reach 7,990 people generating close to 0.6 million views. The brand reach this time was 5 times of what the first TweetMob generated. PVR’s concerted effort to engage Twitterati, as led by Red Digital’s TweetMob innovation, resulted in PVR being the most talked about thing on twitter for the day - across India in a short span of 60 minutes. Two hash-tags: #PVR Friday and #PVR Tweet Hour for PVR Cinemas were launched under the aegis of ‘Men in Black-3’ (MIB3) and ‘Shanghai’, which release on May 25 and June 8 respectively. Using #PVR Friday, Twitterati were asked to Tweet who their favourite agent was - between Agent J and Agent K in the MIB series and why? Creative answers were awarded with free tickets and in only 60 minutes #PVR Friday was trending nationally. The Twitter handle of PVR Cinemas also trended in India and reached over 86,170 Twitter users. Soon after, #PVR Tweet Hour was used for promoting the movie Shanghai in a span of 60 minutes with 10 questions that were tagged with #PVR Tweet Hour. The hash-tag saw over 2,81,761 PVR branded impressions within an hour, and reached 34,142 twitter users. The activity saw close to 4,700 PVR branded impression being seen every minute for one hour. “Facebook is really it. A place where all of marketing can converge, participate, post, share, like, enjoy and more. Twitter is just the opposite. Twitter is just the window. It opens up links and pages if you wish to go that way. Twitter therefore helps galvanise customers. Hashtags that actually click and trend world-wide or within India for that matter, make or break your digital marketing plan,” he further adds.